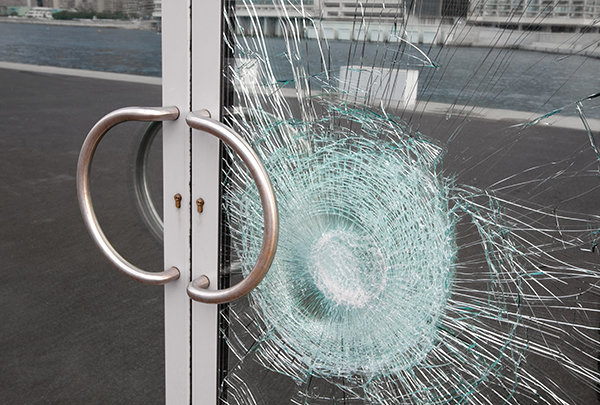 Vandalism is a threatening and common issue that many property managers will unfortunately run into at one point or another, but there are steps you can take to prevent vandalism and other similar property emergencies. Read on in this blog post. The discovery of vandalism on your property is often a result of poor planning for its prevention. Sometimes, vandalism cannot be stopped. 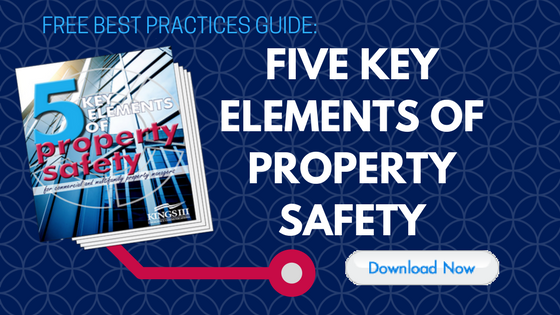 However, in most cases, a few precautions can help to keep your property vandalism-free. Check out some of the deterrents we recommend below. Property owners are familiar with the problem of vandalism, but the actual definition of it is often chilling and all-too real: the intentional damage, destruction or defacement of someone's property without the owner's permission. This definition brings an important aspect to light: vandalism is a DELIBERATE rather than passive act. Vandals have different agendas. Some have a beef with a tenant on your property, or the world in general; other vandals -- mostly younger ones -- are bored and looking for trouble. The worst-case scenario: the vandalism occurs because it’s the first step in a burglary. No matter the motive, the bottom line remains the same: vandalism not only creates more work for you as the property manager, but also alters your tenants’ perception of overall property safety. In all cases, vandalism happens because the vandal believes that he or she can get away with it. That means that the property seems unprotected, easily accessible, disorganized and/or unclean. In other words, vandalism stems from opportunity. The negative effects of vandalism are far reaching. Not only does it mean damage to your property, but it can hurt your property’s (or company’s) reputation, discourage future tenants and customers, can cause damage (like broken windows), and can ultimately lower the value of your property. Some vandalism simply cannot be prevented, but there are precautionary steps you can take to prepare yourself for any unwelcome acts committed on your property. View your property through the eyes of someone who wants to cause it damage. Step back, look at your property and envision where vandalism could occur, and why. Who frequents the area? Do you have a business that may be considered controversial or political? Considerations can include blank walls, poorly lit areas, unprotected equipment and unlocked entrance doors. Make it clear that the property is protected. You can show the potential vandal that you won’t stand for any foul play on your watch. The presence of video cameras, emergency phones, strobe lights, non-breakable glass windows, ID access cards, gates, proper lighting and/or protected landscaping can send a clear signal that you have given much thought to preventing vandalism on your property and that the vandal is likely to be seen and will face consequences. While you’re at it, make sure your outside area is free of trash and uncollected garbage. A lack of these mentioned signals invites trouble. Take action immediately upon discrepancy. Most vandals want the world to pay attention to their work. Don’t let that happen. Remove any damage right away before most people have a chance to see it. Communicate with your tenants honestly: tell them what happened along with what you are doing to address and resolve the situation. Vandalism encourages more vandalism, so clean it up as soon as possible. This swift response shows vandals -- and potential vandals -- that you won’t stand for their handiwork. Manage a self-storage facility? These properties are often ripe for vandalism. Check out our storage facility safety checklist here. Report all vandalism to the police. Don’t ever think that any act of vandalism is too small or insignificant to report. The police need to know that vandalism was committed so that an official record can be kept. This can also encourage the police to send around extra patrols and keep a more watchful eye on your property, creating a safer environment. Find out if your local police department has a hotline available for reporting vandalism incidents. Include vandalism in your emergency action plan. Most property managers think of natural disasters when it comes to an emergency action plan, but not vandalism. In advance, prepare a step-by-step process for confronting it and resolving it quickly. Not all policies automatically insure against vandalism. What’s more- looting often accompanies vandalism. Be sure that this connection is considered in your insurance policy. If your building is vacant, be certain that you agree with the way your policy specifically defines the word “vacant,” so that everybody is on the same page. Join or create a neighborhood/business watch. It takes a village. Keep an eye on each other’s property. Check out the National Neighborhood Watch website for more information on how to get started. By following these steps, your property will discourage potential vandals and be perceived as a safer environment. To learn more about how Kings III can increase the safety and reduce risk and liability on your property, visit www.kingsiii.com.